Most communities have basic exercise equipment in their clubhouses, but these communities feature more than just expansive fitness facilities with the latest running and weight-training machines. They also offer complete wellness programs and fitness classes designed to improve every resident's overall lifestyle. 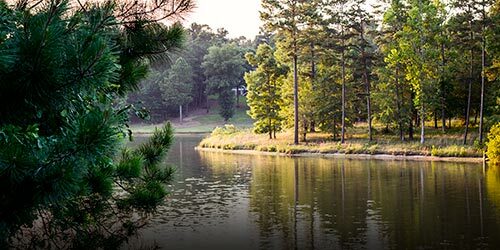 Mount Vintage, Edgefield County, SC -Located between Augusta, GA, and Aiken, SC, Mount Vintage is a 2,000-acre private community in the tranquil countryside where residents gather at the community athletic club to work out at the fitness center, swim in the pool or play tennis and bocce ball. Many choose to work in the community garden or just relax with a good book in the library. Golf on the Tom Jackson-designed 27-hole golf course is always an enjoyable challenge, while the many planned activities keep friends and neighbors in good spirits throughout the year.